K5 will release at 12:00 and 6-12 will release at 12:15. 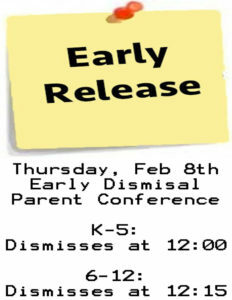 Parent Conferences will start at 12:30. See you there!